The final 1% work for the BHA (Z). The persecuted ones. They would join St Peter being crucified upside down. The executive are selected by the racetracks on rolling three year contracts. The current Chairman knew less about Racing than my cat when he arrived, presided over some notable fails like Mathew Lohn, then quietly and ‘humbly’ voted into another 3 year term..
Is the regulator looking after the interests of racing, or is the system of election of the Chairman dependent on what he does for racetracks? Chairman of the BHA isn’t akin to golf club captaincy. Look, I know you all think I hate the BHA (Group Z). Come come now, I’m not that bad really, honestly. I’ve made clowns of them once, but I’d like to think their decisions were based on regulating and promoting the sport, not battling bookmakers for cash. Truth is the BHA (Z) hierachy is never going to act for Racing for as long as the tracks sit on the board and appoint the leaders. Turkeys rarely buy Xmas cards. More galloping about the ovals keeps the track bosses in tweed and BHA execs in badges. 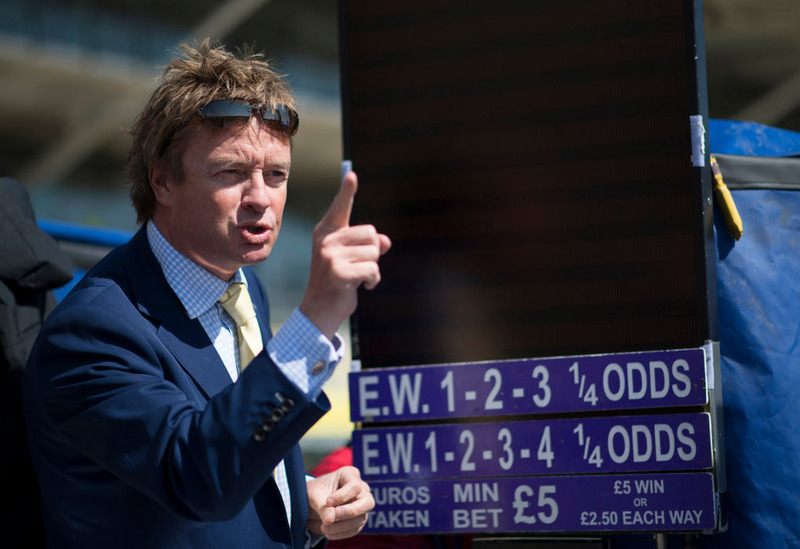 Kempton makes more money than any other JCR track (Group A) – except Cheltenham. Pop there on a Wednesday night and you’d swear the gates had been locked shut. It subsists on an attractive Levy payment for every race. Three runners or fifteen, its all gravy. The swing to sandpits, to include the gothically dull Newcastle straight (A), needs runners from the available horse population, and owners. If you’re a prospective jump owner, up against wannabee’s like Rich Ricci (Q and E), forking out hundreds of thousands a horse, – you can afford 65 pence a purchase. Ricci stables his muckers the Mullins pad, coffee machine, babestation and minibar in every box. Regular owners on limited budgets can’t compete nor cover the exxes. And your trusty milker can only hack around 5 or 6 times a year. On the all weather, chances are you’ll do better. Even if you’re the only one interested if it wins.. It is a matter of pure fact belting out sand races at the rate of 3 meetings a day harms the winter code. Is there any chance a whole summer of jumps nobody cares about is a pointless exercise, for everyone except Plumpton? Or have i taken leave of my Scottish mind? 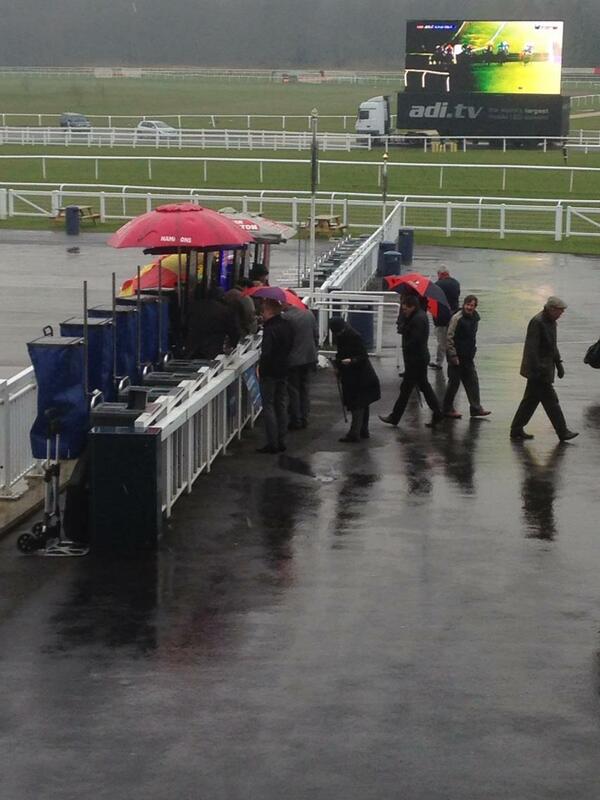 Jump Racing sacrificed on the altar of an engorged BHA all weather list . Months of 4 and 5 runner events. It’s not on, and time you fans stood up and demanded change. The ground isn’t firm. It’s good racing ground, so stop telling me a its akin to a bed of nails to a horse. Indeed they’ve been running all summer. And when the ground is good in April at Aintree – they’ll be running, this is what explodes the myth about ground..There’s simply too much racing and too few runners to support the code and it cannot roll on for 3 or 4 months in this vein every year, whilst we all sip champagne in our box, waiting on Cue Card. A couple of weeks ago we had 19 runner fields at Doncaster on the flat. 7/1 the field and 1/4 the odds if you’re a betting man. Competitive, and attracts people to watch on telly. Yesterday I watched Lydia Hislop (X) trying to make Wincanton sound interesting. She should have been awarded a DSO.. So Mr Harman and Mr Rust (Q E and Z) I know the issue of racing volume gets dull, but that’s because you refuse to accept it’s a failed system.. I fully accept your jobs depend on the goodwill of masters more interested in Levy than bums on seats. I’m staring at a Kempton card with 3 three runner races and a Carlisle card with a 2 runner heat. It’s your turn in the chair and you’ve got two years left to save a code so many love before you’re replaced by the fellahs who run Southern Rail (Q). This is a sport very much in crisis, and you are tasked to act in the interests of the sport as a whole, even if the Trustees are more interested in levy grants. Do better than serve out your time and a 0.1 runner increase per race per year. We’ll all be pushing up daisies by the time you start delivering. Or am I being too diplomatic?? ps. If you want to earn money from Betting, try enforcing a minimum margin on operators in return for hefty levy rate reductions. Not a tip you’ll get from the current crop of non execs..
My last blog about modern day racing, and its sanitized ways, seemed to attract a lot of attention or hits as they say. And more than a few compliments from like-minded souls, or perhaps concerned, individuals on Twitter. It’s hard to be humble when you’re as great as I am…in future my rate for such scribing shall be ten pounds an article, and I’m not budging from that. What was absent was the contra view which I expected from trainers and connections of horses boxed away in padded cells for months on end awaiting their glory moment. Shame that. However, all is not lost. I did receive one rather hateful response from a fellah describing himself rather grandly as ‘a proper Bookmaker’ who ranted about my attitudes to modern day betting rings. He wasn’t quite brave enough to tell us all who he was, doubtless of the view should he reveal his true identity, some would have realised the true worth of his business practices. Few punters thoroughly approve of modern day Bookmakers. The horrible truth. Exchanges are the ‘good guys’ wherever they trade from. Who’s going to criticise someone for low liquidity when you’re part of the problem? It’s perhaps helpful if I illustrate the problems as I see it in the modern ring, for those who do not understand the issues. Anyone who goes racing, midweek in particular, can’t have failed to notice the distressed state of the ring. A handful of Bookies, usually with just one member of staff each, huddling for warmth whilst serving but a few customers. In an environment where racetracks claim attendances overall are holding up, it’s a paradox that rings are so quiet. Of course, were I the RCA, I’d be talking up the product. And yes, if they don’t address the problem of stable stars retiring as 3 year olds or worse sitting out for Cheltenham, they’re going to have attendance issues; we’re agreed on that. On a Saturday, and at the major meetings however, the crowds still look good to me, but the public aren’t betting as they used to. Or perhaps they are. I mean who goes racing these days and doesn’t have a bet? Racing’s pretty dull if you don’t have some kind of interest other than an anoraky view of form or breeding. Why does the Queen have so many ladies in waiting when she’s in attendance? Quite right, they’re running her bets out! She’s no fool. Loves a Union Jack does the Boss. Everyone’s having a play in reality. Because if you’re racing, and not betting, you must be wondering what all the fuss and noise is about! As to the Punters, they’re just getting bored. 98% of Bookies these days have turned to trading as a simple and cheap method of making a living. From the moment the interminably ignorant Rob Hughes, of the then controlling Levy Board, cast his vote in favour of opening up the Ring to outside influences, in particular exchanges, the die was cast for the Bookies. Led by ‘pioneers’ like Martyn of Leicester, who I recall describing it as the new Holy Grail to me one day, many leapt from odds, percentages and margins, to trading every dollar they took with an exchange, at better odds. Presto, easy money – minimal risk. At the outset the gap between the odds offered by the trader and the exchange was wide, and the method simple. It was a golden time. As the years progressed, with traders chasing a diminishing pound, and their own silly greed for every bet available, the odds soared to the punters. Traders found with what profits could be engendered, squeezed so tight, they couldn’t breathe. Even when the crowds were good, they moronically bet so tight to the exchange, the profits, if at all, were derisory. In the same period, liquidity on exchanges fell markedly. Now we had a situation where traders would offer 7/1 about a horse trading at 8.2 on the exchange but only to £20. Lord-A-Mighty if someone asked for a couple of hundred each way – a bet far larger than they could stand, trade or even dump with the few proper Bookmakers betting to opinions. Casually they knocked the larger punters back, without thought for their future. They turned to following the exchange win price, but restricting the place returns, making something off of that book instead. Tossing casually away years of agreements and the code laid down by Tattersalls. This code has, and still is, respected in betting shops and credit offices and even improved upon. They laid off staff, and finally stopped going in some cases, altogether. So when ‘a proper Bookmaker’ tells me I shouldn’t be going about criticising their business plan, I have to laugh. Proof of the pudding is in the eating. It gives me little pleasure to be proven totally right. I said this operandi would fail on every platform available to me, to whoever would listen and many who would not. If there’s no work – you’ve failed. I’ve covered the traders, what about the views of my customers? First off, make no mistake, I like a laugh with my punters, especially when they lose – but I don’t mind the jibes when I do either! It’s part of the fun of betting with the old enemy. Because I am, the old enemy in all but age… I still offer odds which reflect my views and I don’t knockback bets from genuine punters, ever. Why aren’t the punters flocking to a ring where they can very often beat an exchange price and pay no commission? Because my friends, like me, they’re so famously bored of a ring with rows of Bookmakers betting like soldiers – all offering the same odds. There’s no variety or choice. It’s uniform and drab. Worse it’s an exchange driven cartel. Most punters believe the Bookmakers win, whatever the result. If everyone has the same price it appears like price fixing. They disapprove of restrictive practices such as 1/5th odds on the Grand National, and traders who dress as if they’ve just stepped out of their front rooms. And worse, they just want the fun of a bet. It really matters little to them whether a horse is 5/1 or 4/1 when the nags are toiling up the straight. One of the loudest punters in the ring I love, little Tommy, makes the most noise. He doesn’t bet big, but to him it’s still the buzz, and I love him for his enthusiasm. These days, customers are afforded little of the respect of past days, when giants like John Banks and Stephen Little battled them with a smile, a thumping bet at their odds, and a tie. I offer two thoughts for punters at this stage, out of balance. If you moan about poor place odds and you give those traders who offer them your fiver each way at 1/5 the odds on the Cambridgeshire because they are 17/2 about something which is 8/1 elsewhere, then you’ve only yourselves to blame for supporting them, in any race. I believe you should identify the culprits and never bet with them; period. That’s how you rid the ring of scoundrels without the business acumen to appreciate exchanges aren’t the savior, but their death knell. Oh, and tell your friends. Second, although I enjoyed the banter from Big Mac, even if it occasionally made no sense, the culture of moreism always has a price; go for service over value, every time. Think I fly Ryanair if British Airways head in the same direction? Fine, I’ve given my thoughts. What of the future? For those leading Bookmakers these days, and for the empty vessels in the ring, standing looking at the tumbleweed, bitching away, and blaming everyone but themselves for the problems, I offer these solutions. Number one; allow the racetracks to dictate the terms of business in the rings. Fundamentally to restore order on place markets, introduce a guaranteed minimum lay to lose amount for each ring. This stops traders betting to pennies, offering unsustainable odds, and knocking back the larger punters. It’s so tiresome to hear dinosaurs claim tracks ‘shouldn’t be allowed to dictate the terms of business’. What a narrow view, especially as even now, they already do! It’s hardly in the favour of racetracks to do away with the draw of their betting rings, is it? Chesterbet is a success, but only in parallel with Bookmakers bringing the punters to play into the track in the first place. On their own, and without a ring, tracks – whilst they can deliver on the bet at more restrictive odds – can’t deliver on the flavour and atmosphere people in this country enjoy about the ring so much. Think that Simon Bazalgette and Charles Barnett are rubbing their hands with a go it alone approach? They’re no fools. They would prefer a symbiotic relationship. Every time we say no to their requests for improved service standards, they become just a little more unsympathetic to our problems. They will naturally turn their vast expertise in running business, into taking betting under their wings and employing people like me to show them how it’s done successfully. And yes, I would, if the alternative is to stand amongst a bunch of fiddlers trading dollars in their jeans. Number two, for racetrack bosses. Extinguish the cosy little relationship between RDT and Betdaq, with software capable of skillfully enabling traders to hive off bets at lightning speed to the exchange. Do away with track broadband and WiFi altogether. Outlaw data cards, secondary laptops and hand held PDAs for Bookmakers. No, it’s not air tight, but it does go an awful long way to restricting the ability to trade with exchanges. Especially at festival meetings where mobile phone networks like Vodafone do a total runner. Fundamentally, switch off the exchange displays on laptops provided by companies such as RDT and return rings to a lower tech environment. Give serious pause for what I’m advocating if you value a vibrant ring, its draw and income. Stop worrying about losing a few traders who do not approve of restrictions. Believe me, they’re no loss! En fin, if you’re showing exchange odds on a big screen at your Racetrack, you’re doing yourselves no favours. It isn’t about price. Number three Bookies, get into the modern day age of cashless societies and find bank’s willing to offer the new fast generations of swipe debit cards to enable punters to bet without the need to queue for hours and days at cash points. I accept there will be a variety of views out there to this. If you’re a hard working Bookie, you have my respect for your efforts, but you’re going nowhere, if you don’t adapt, and you know this is true. If you’re the blinkered sort, who believes the Son of John Banks got here through luck rather than focusing on service standards, or if you’re worried someone else in the ring on a mobile will break the mould and have a huge mass of punters at his joint, whilst you have nothing, then you’re missed the point. It’s greed and an unworkable long term business plan that got you here in the first place. You have to work as a collective, rather than a series of individuals, and you have to act now and stop thinking of what’s good for you, but what’s best for the customers you’ve lost. The tracks have the power to lay down sensible practices, if you’d only let them. One thing’s absolutely for sure, the one you’re using right now has failed, miserably. I don’t think anyone could argue with that. For those that view some of the points as ‘legally challengeable’, I point you to the free for all 2008 Gambling Act. Good luck in Court trying to get a decision as to what is, or isn’t legal anymore, because the Gambling Commission certainly don’t. One final point, Bookies. Just a few years ago, many of these points were laid down by the NJPC articles. I don’t recall anyone at that time complaining, or challenging the terms. We can change, and we must, if the whole shebang doesn’t migrate to GoodwoodBet in a very short time.